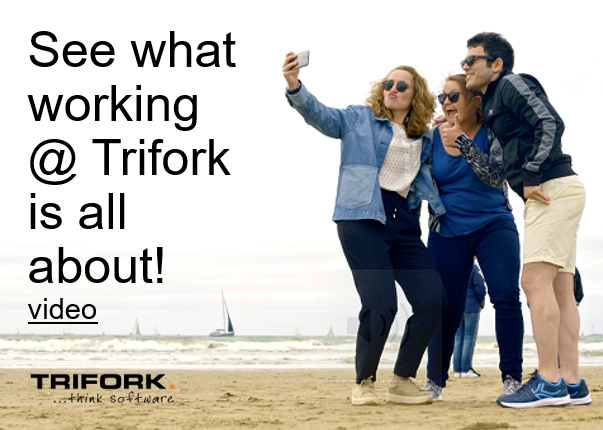 Keep updated on the technical solutions Trifork is working on! What a great day this week. Privileged to be invited to talk to a great group of people about AI, Machine learning, and how to start the digital transformation needed to start using this all. New Tech from the business point of view. Is there another way to look at it? The audience was from all sorts of corners in the Netherlands. University, NGO and business. Independent contractors and the next generation family business owners. Good energy, realization that something has to change. The elephant in the room was the word relevance. Is IT still relevant to business? Good opening question. Where is the most money spent on digital innovation? In the business, direct, not via central IT anymore. And why? we’re no longer relevant to the digital future. So digital leadership for IT in a digital world is very much about regaining relevance. Will we be relevant again with ITIL 4? No. That only happens at ITIL 4.4. Don’t hold your breath. As I wear many hats for the various roles I have, the presentation is a crossover from all those roles. As my wife keeps saying: large head allows for many hats. Connecting SAP backend via design thinking to Apple frontend let me talk about the customer in the center and maybe even more important: employee centricity. Once we not only say but actually do work from the only relevant business concept: the customer is the start. The only start that makes sense. Always work back from the customer. Apply value stream mapping (from my lector BPM at the university role), start with the customer, work backward, see what the employee really does, find the waste. So if the customer is so important, why do we give the employee that has to do the work, interfaces, UIs that let them only focus on the tool, the process but not on the customer? Enable them to work as a smart enterprise! If you translate this to IT the first question is then: who is your customer. One of the 2 questions most folks in IT have a hard time answering (the other question is: where does the money for IT come from in the first place). So if you work backwards from that customer, and the customer’s customers, we can find the waste. Apply value stream mapping to IT. One will be amazed by all the activities you can identify that don’t make sense. And don’t talk to the CIO or CTO. Talk to the people that do the actual work. In most companies I have worked for they all have the same name: FTE. Not sure why. So making your employee central is the best way to become customer-centric. Let him or she do the job you hired them to do. Design thinking, value stream mapping, it all starts with field research. Talk to the FTEs, talk to the people doing the work. And surprising enough: if you really ask them what can be improved they will give you a myriad of options. They know what can be done faster, smarter, better. Ask them what the customer wants, and they will tell you. If only you ask. So if we combine the nice new TECH options out there, all 12 main buckets with fancy new stuff, and we realize we have to make both the business employee and the IT employee important: what do we do. If you ask any IT audience what they think is the main obstacle for the much needed digital transformation they all answer: people. Individuals, teams, structures: people. Right! So if I was to read your digital transformation roadmap there would be a large part written about people transformation?. A lot of your budget would be allocated to people transformation? And then it looks like I am 7 years again, and look outside from our home and see a flock of sheep. Sheep, sheepishly smiling. No. We did not allocate money to people. That is so hard. We focus on the tech part. Great thinking, sounds like a great recipe for success! So if people are so important for your transformation success please understand where transformation is different from change. Change has a more or less clear endpoint. You know where to end up and work your way to that point in a linear route. And make all the SLA’s and KPI’s you need. Transformation, on the other hand, is something that is business crucial, it is fundamentally changing your business model, your BMC, your VPC. And the very nature of transformation is you cannot transform back. No butterfly back to a caterpillar. Transformation is a one-way street. A street with an unclear endpoint. And endstate that will keep changing while you are transforming. For transformation, there is only 1 way to do it. Get started! Allow for learning. Learning either from success of failures. There is only learning, experimentation. “A journey of a thousand miles starts with the first step” – Confucius. “Do or do not – there is no try” – Yoda. Adopt design thinking. Get started, do an experiment. Success or fail, it doesn’t matter. Just start!